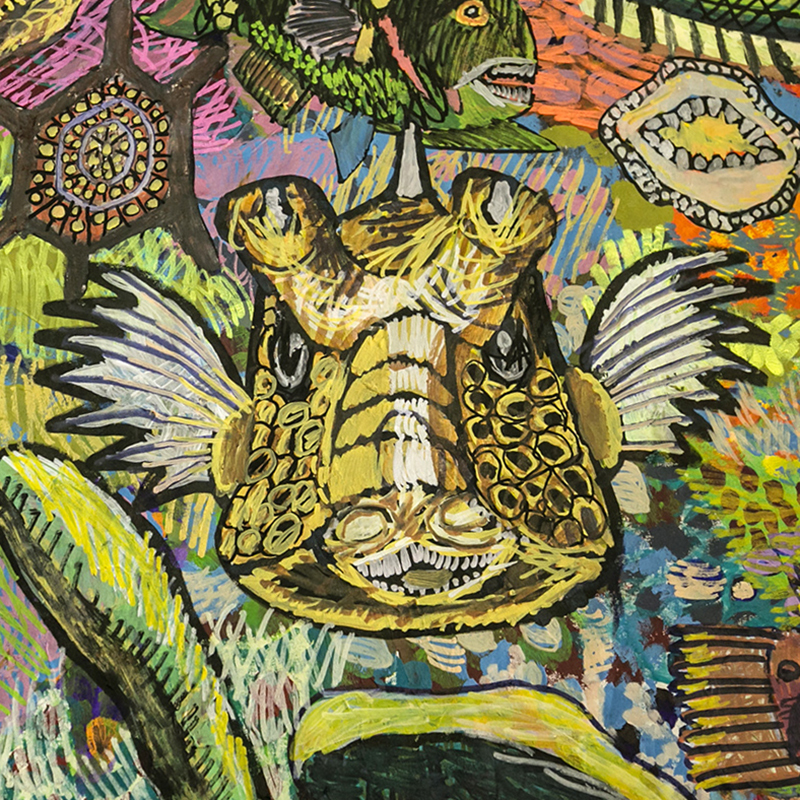 Dive into the watery depths of award-winning Tutti Artist Kurt Bosecke's imaginings and discover a bold and quirky world of intricately rendered sea creatures in the form of paintings and sculptures. These works will float in the serene surroundings of Folklore Cafe inviting you to linger in the blue. Please note Folklore Cafe will be closing at 2:30pm from Wednesday February 27th to Tuesday March 12th. This will effect exhibition viewing times. Tutti Arts is a multi arts hub for artists with a disability and an incubator for disability led collectives. Tutti artists create inclusive, extraordinary art in visual arts, performing arts, music, film and new media for a growing local and international audience.